Sold by Qardio Australia and Fulfilled by Amazon. Gift-wrap available. 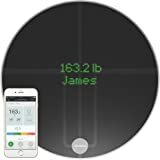 5.0 out of 5 starsPerfecting my favorite smart scale. 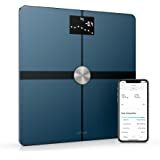 I just received my QardioBase 2 but I previously purchased the QardioBase Smart Digital Bathroom Scale: Qardio Fitness, BMI, Weight & Body Composition Analyzer - Bluetooth & WiFi Sync with App, Opal White. 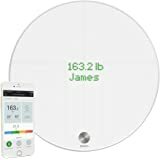 The QardioBase became my favorite Smart Scale, I liked it much better than the other smart scales I owned, but it had one problem in particular. First, what I like about the QardioBase, and now the QardioBase 2. 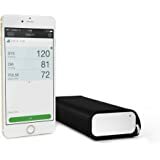 It tracks my weight, body fat, and muscle and presents it to me in an easy to track app on my iPhone, and integrates the information with Apple Health. While I don't use them I appreciate that it has settings to turn off some of these for people with pacemakers, and has a special tracking mode for pregnant women when they set their due date. But what really made it great is the haptic feedback it gives both when you get on the scale and when it has figured out your weight. 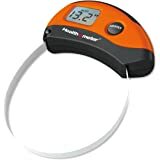 On my previous scale I had to keep looking down to see if it had figured out my weight and that movement impacted the measurement. With QardioBase I step on, feel it vibrate, wait for the second vibration then step off to read the display. It is awesome and I feel like I am getting more accurate readings than on my previous scales. Now the problem with the first QardioBase was it wobbled. It didn't feel very sturdy and you would some times lose your balance when stepping on it. The company tried to fix the issue by sending you extra feet and they improved the situation but there were still some issues. That is completely gone with QardioBase 2. No wobble at all. As a matter of fact it no longer really has feet. Just sits directly on the floor. As an added bonus is also takes care of the other minor complaint I had about the original QardioBase: it uses 8 AAA batteries. The QardioBase 2 is rechargeable with micro USB. The manual claims it should last a year without recharging but I just received my scale so I haven't verified that. Overall I am very happy with the QardioBase 2. 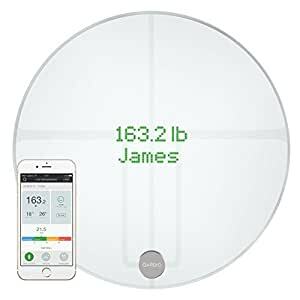 Improved in all the right ways to make it as close to the perfect smart scale as you can get. 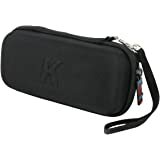 Edit (5/10/2018): I received the replacement a couple of months ago and decided I'd update the review as promised. The new unit has worked pretty well since then, but the scale needs to be zeroed far more often than I'd like. After a week or so of normal use, it'll hang onto a particular value and continue to display that value after weighing in. Only after zeroing the device will it correctly display your current values. Hopefully this can be fixed in future firmware updates. I just received my QardioBase 2 this afternoon and after setting it up, I have nothing but bad news to report. I followed the instructions and entered the information for my personal profile and set the scale into "normal" mode. Upon stepping on the scale, it happily reported my weight and nothing else, despite the fact that the surface was clean and my feet bare. I reset the device multiple times, and the setup went smoothly, but the result never changed. A few times when I tested the device it reported a "save error" and my results were not synced to my app. I emailed support and have yet to get even an acknowledgement that my ticket was received. The final straw was when I tried to set it up for my girlfriend on her phone. I downloaded the app, created an account, and proceeded through the same process only to get to the part where you step on the scale as directed. The scale didn't recognize her despite bluetooth being enabled. Instead it weighed her as a guest. After attempting to reset the device yet again, the scale reads "step off" but nothing is on it. Even after turning it off and on again it continues to read "step off". Resetting the device at this point is impossible. I'll be sending this back to Amazon for replacement as there isn't anything on the support page to resolve this issue and from what I've read in others' reviews, I'll probably never hear back from the support team anyway. I'll update this review should the second unit prove to be built any better. 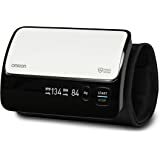 We purchased the scale along with Qardio’s blood pressure monitor as we wanted a set of products that worked with the same app. Sadly, we were very disappointed with this product, and the associated app. Within a couple of days, we could not get the scale to take a reading and it just kept giving error messages. Multiple restarts, resets, and deleting and reinstalling the app didn’t help. We ultimately had to return the scale.